Want to tile a wallpaper on the Mac? A tiling wallpaper will repeat all over the desktop background, just like a tile is repeated in flooring or a wall. Well, you’re in luck because modern Mac OS X versions can do tile a wallpaper image, just like you could do way back in ancient Mac OS releases and all other versions too. But how you tile a desktop image depends slightly on versions of system software, and on the size of the image itself. In short, if the image is fit to or larger than your Macs screen resolution, it won’t tile. Likewise, the default Mac OS X Lion wallpapers don’t have the option to tile or change how they are orientated on your display. That change was made in Lion and has persisted forward. But, you can still tile a picture, you just have to choose a smaller image. The easiest solution to this is simple: you have to use a background image that will tile, meaning it is smaller than your screens resolution. If you don’t select “Tile” manually, the default will usually be “Stretch” which looks terrible for most images that are meant to be tiled. 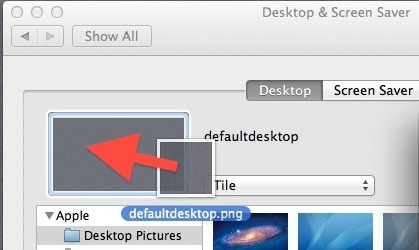 Why was this behavior changed in Mac OS X Lion? Who knows, but we’ve received several questions about this and a few emails which indicates there’s a fair amount of confusion on how this background pictures are handled in 10.7. And yes, you can still tile images as wallpapers in modern Mac OS releases too, so if you’re chugging away on MAC OS X El Capitan, macOS Sierra, Yosemite, macOS High Sierra, or macOS 10.14 or whatever other magical release you’re running on your Mac, you’re good to tile. For now anyway. Anyway, enjoy your tiling wallpapers! Great tip, thanks for that. Thanks for the hint Matt! on my system however, the string needs to be changed to “Tiled”, instead of “Tile”. I also had to log out and log back in for the desktop.plist file to be re-read. It is funny, that if the image is located in /Library/Desktop Pictures/, then the pull-down menu to select the display type never appears. If the same image is copied to my Desktop, and dragged into the Pref Pane, the menu appears! Thanks for all of these directions! I saved the image to desktop, then dragged and dropped it in to the image area for Desktop, and then chose Tile and it worked perfectly! Absolutely useless for larger photos. You can NOT tile with OSX Lion with a large photo. Make sure you have at least one small file in the directory. Select and tile that one first. Now select your larger file. 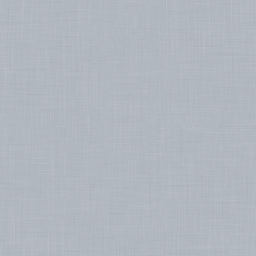 Even though the option remains unlit, the larger file appears to tile. Hi, I would like to know how to fit any picture from the internet to the size of your background. I have a mac BTW.